New York: The 13th edition of dOCUMENTA opened last month, and will be on view for its characteristic 100 days until September 16, 2012. Documenta is considered by many to be the mother of all international exhibitions, including the popular biennales and the triennials. It is a display of premium contemporary art that draws thousands of art lovers to the small German city of Kassel, some 120 miles north east of Frankfurt, every five years. Earlier in June, we shared details of a talk hosted by the Courtauld Institute of Art about the contemporary South Asian artists being featured in the exhibition this year. Documenta’s list of participating artists is usually a huge hush-hush affair with the names not being released until the day of the exhibition opening. However this time around, the German newspaper Süddeutsche Zeitung managed to get their hands on this guarded list and published it in mid May. 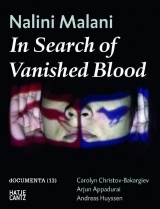 A significant feature in this year’s exhibition is Nalini Malani’s In Search of Vanished Blood. Documenta customarily gives its artists at least two years to conceive and produce their projects, and the works are often cerebral, complex and large scale. 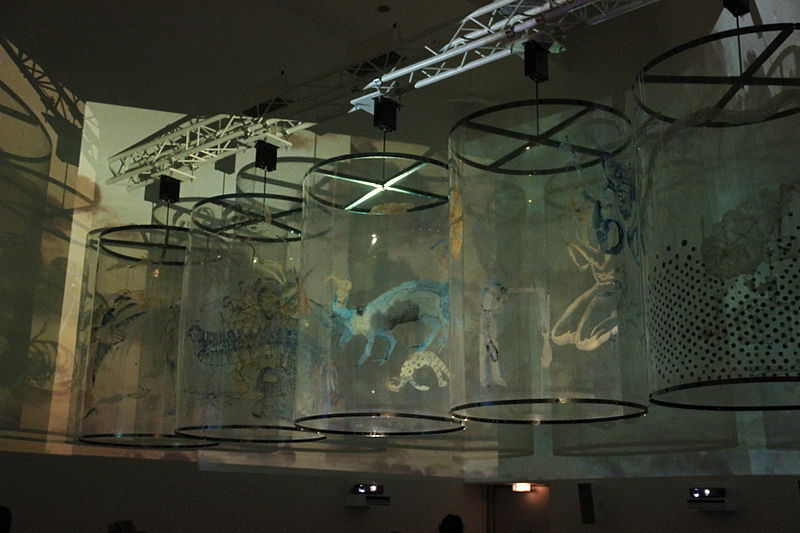 This work is a colossal site-specific installation of the artist’s signature projections of light through revolving acrylic cylinders bearing painted imagery. 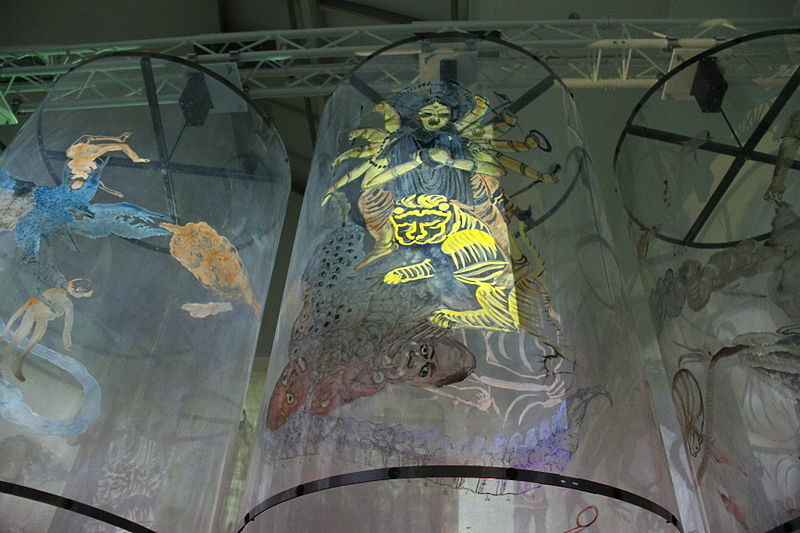 As the cylinders spin, the images move on the walls, crossing one another in what Malani refers to as a shadow play. Issues of gender, feminism, and displacement are pervasive themes for the artist. Representations of early female archetypes, from Hindu figures like Radha, Draupadi and Sita, to such Western icons as Medea and Alice are recurrent references in her work. This latest work is inspired by Christa Wolf’s German novel, Cassandra, and Draupadi by Indian social activist and writer, Mahasweta Devi. It is a thought provoking commentary on gender, communal violence and religious fundamentalism. Watch the video for a glimpse of the work. Malani is one of three international artists to be invited by Documenta to create an artist’s book. Titled after the work, In Search of Vanished Blood, this book includes texts by the Documenta 13 artistic director, Carolyn Christov-Bakargiev, New York based contemporary social-cultural anthropologist of Indian origin, Arjun Appadurai, and stills from a film on the making of this work by Payal Kapadia. A haunting trailer of the film is available for viewing on Malani’s website. Documenta as an exhibit is known to engage not just visual and performing artists but also philosophers, quantum physicists and social anthropologists. Malani has also joined Appadurai to create a collaborative work for Documenta (13)’s publication series, 100 Notes – 100 Thoughts. Read more about this project. Malani is currently exhibiting in 3 more expositions around the world including the Singapore Art Museum where her video play HAMLETMACHINE is on view in a group exhibition, Panorama: Recent Art from Contemporary Asia featuring 24 artists from 8 Asian countries. Read more. Other participations include ALICE in the Wonderland of Art at the Kunsthalle Hamburg (20 June – 30 September 2012) and INDIA – LADO A LADO [India – Side by Side], a traveling exhibition conceived for the Centro Cultural Banco do Brazil (22 May to 29 July, 2012). Read more.